The HGTV series “Property Brothers” always starts with a couple oohing and aahing over a gorgeous home that, ultimately, they can’t afford. That dynamic is not unlike some prospective brides who come to us with photos of gorgeous photos they’ve found on Pinterest. 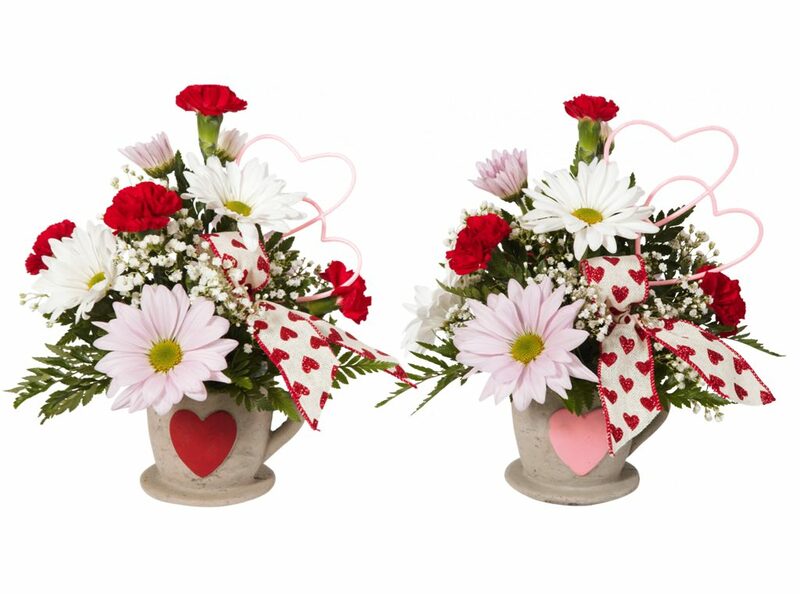 Sometimes the flowers in those photos are more expensive than a wedding budget will allow. Jill Elmore, Connells Maple Lee’s bridal consultant, is OK with that. She wants to know what brides envision for their dream wedding. If she ultimately must bring them back to reality, she said, she can do that. Jill will bring that philosophy with her to the Columbus Weddings Show, Jan. 13-14 at the Ohio Expo Center, 717 E. 17th St. The show runs from 10 a.m. to 5 p.m. Saturday and noon to 5 p.m. Sunday. You’ll find Jill and her Connells Maple Lee colleagues in Booth 102. Jill has plenty ideas of her own to share. She said “shabby chic” is the current trend. 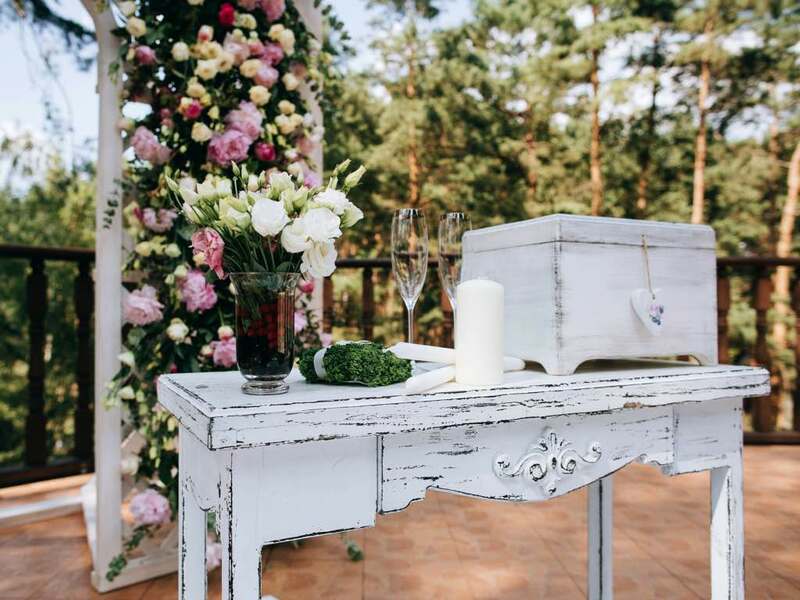 It includes lots of giftware items that brides can incorporate into their weddings, Jill explained, such as wooden lanterns, chalkboards, whitewashed screens. Jill said the elements also might include a variety of greens with hand-tied flowers, or garland running down a table, across a doorway or above a backdrop of latticework. Connells Maple Lee’s booth also will feature giftware that could be given as gifts to the wedding couple. Jill encourages brides to share their visions. She can work with that, she said, sounding just as confident as those HGTV hosts in her ability to deliver the look they want at a price they can afford. “I can give you the wedding you want but within Dad’s budget,” she quipped. Connells Maple Lee’s annual book drive collected 166 titles for Bexley Public Library and Delaware County District Library. 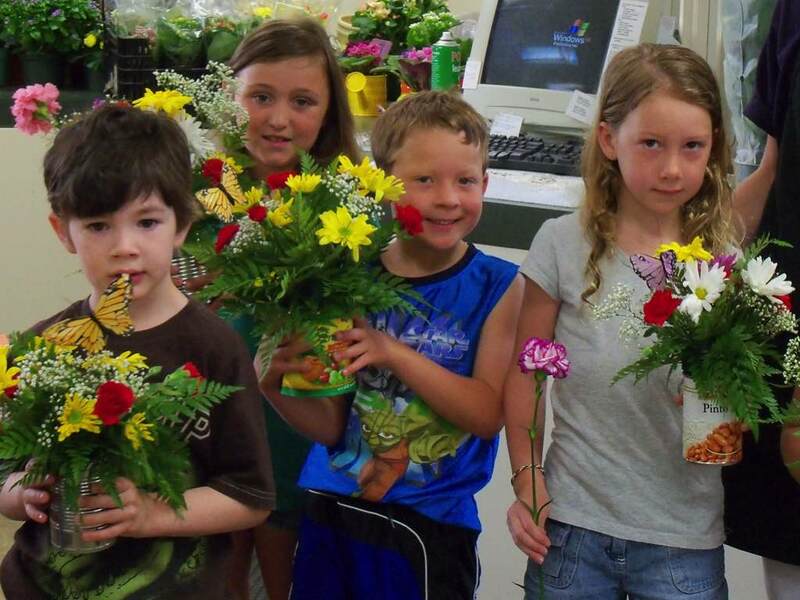 Bouquets for Books ran Oct. 28-Nov. 11. 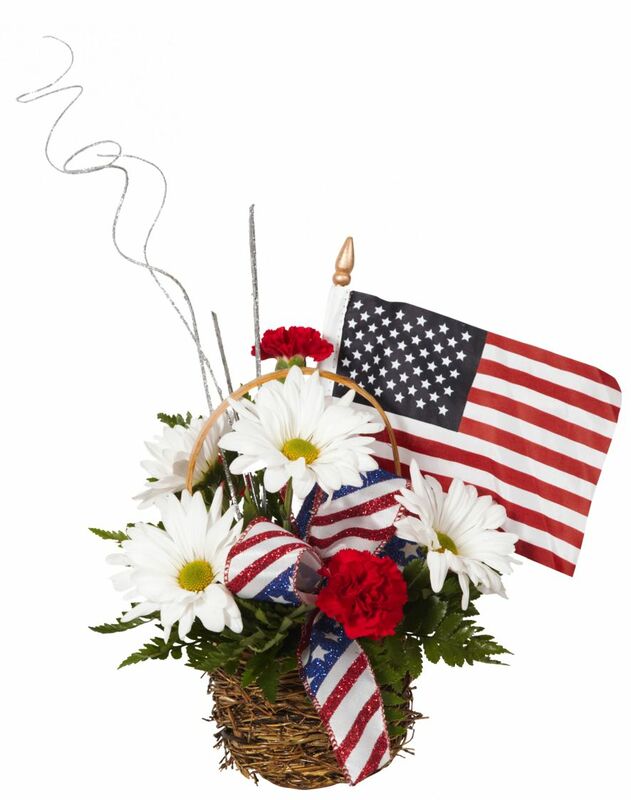 Connells Maple Lee Flowers will collect cards and coloring pages for military veterans in each of its stores Nov. 11-Dec. 4 as part of the American Red Cross’ “Holidays for Heroes” program. 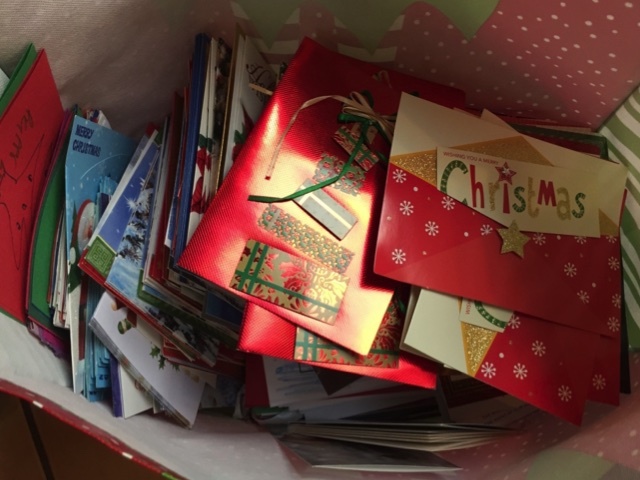 Collected cards and coloring pages will be handed over to the Red Cross, whose volunteers will organize them for delivery. Destinations include military installations, VFWs, American Legions, VA hospitals and retirement homes in 45 counties in the Ohio Buckeye Region. The Connells Maple Lee Kids Club will celebrate Veterans Day with a free event Nov. 11. The Connells Maple Lee Kids Club will celebrate Grandparents Day with a free event Sept. 9 in all stores. 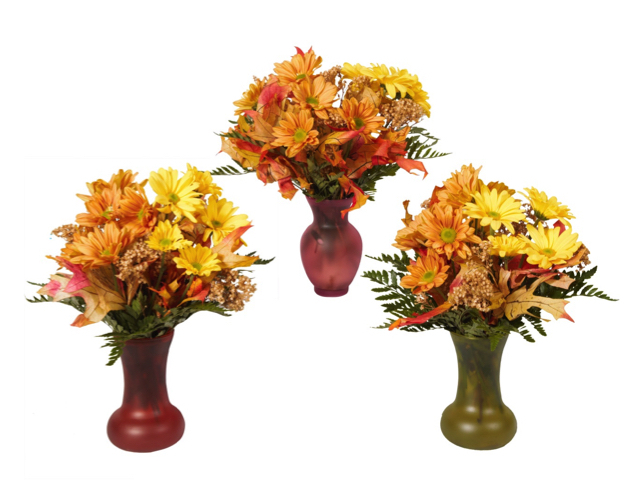 Children ages 5 to 12 will have an opportunity to make a special gift for Gram and Grampy: a fall arrangement featuring pompon daisies. Participants also will receive a balloon. Time slots are available at 10 a.m. and 2 p.m. Registration is required by calling your nearest Connells Maple Lee store: 3014 E. Broad St., Bexley, 614-237-8653; 2033 Stringtown Road, Grove City, 614-539-4000; and 8573 Owenfield Drive, Powell, 740-548-4082. Grandparents Day is Sept. 10. 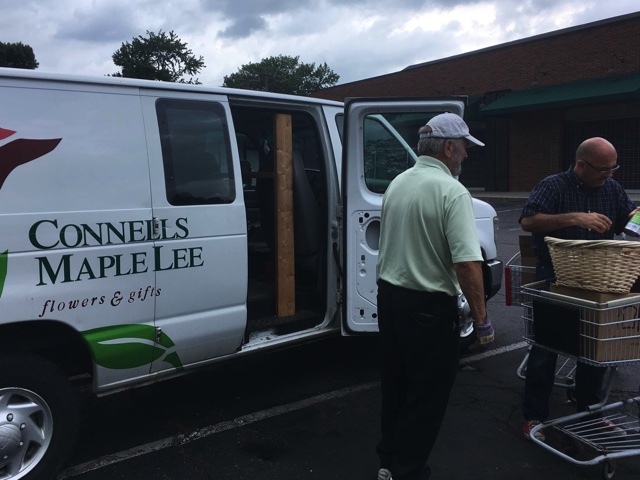 Connells Maple Lee’s annual food drive collected 175 pounds of nonperishable items from June 17-July 1. This year’s Connells Maple Lee Stems Hunger event benefited the nonprofit Neighborhood Services Inc., which operates the Choice Food Pantry at 1950 N. 4th St., Suite J, Columbus. Besides our three Columbus-area stores, the food drop-off locations included Drayer Physical Therapy Institute’s outpatient center in Grove City. In its six-year history, the food drive has collected more than 1,000 pounds for area food banks. Photo above, from left, Billy Ables, wholesale driver, Connells Maple Lee, delivers food to Martin Butler, executive director, Neighborhood Services Inc.